The act of providing sustainable water provisions is in itself an empowering one for women. In many developing countries women are disproportionately affected by the lack of clean water as they often carry the burden of water collection, sanitation and much of domestic hygiene. Collecting water can be exhausting and laborious work. 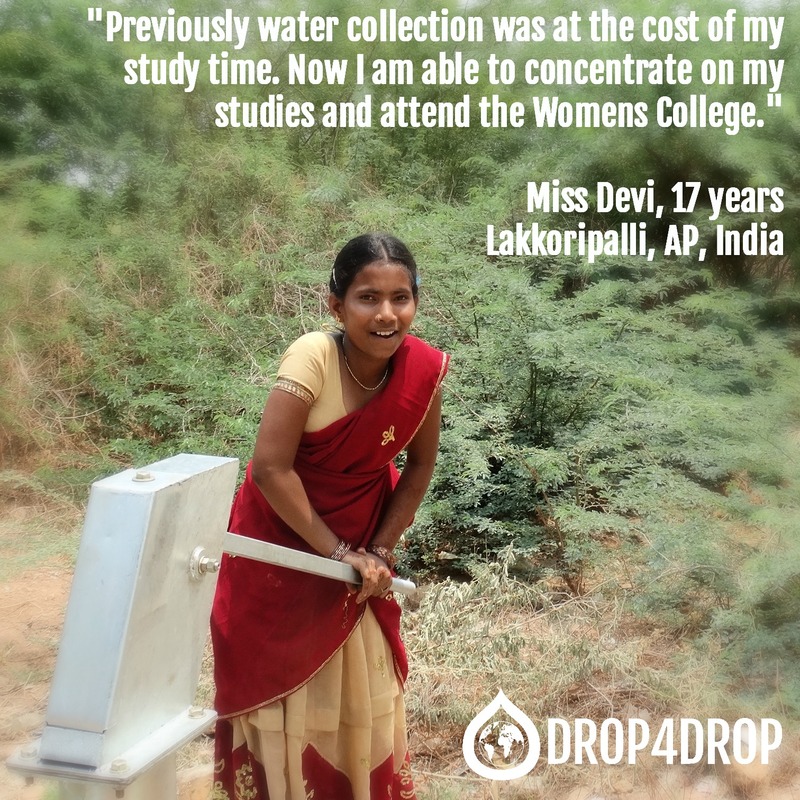 In rural India, where we have worked extensively, women often have to walk for long periods to a source of clean water. Every year, in sub-Saharan Africa women and girls spend waste a total of 40 billion hours on water collection. This is 40 billion hours that women could spend in their community and in employment. Young girls are being stunted in their development as they miss crucial education and training. Young girls often drop out of school to help the collection of water, where this collection time can be minimised girls can attend school. Access to clean water, therefore, increases literacy rates among women and girls which empowers women to be independent and furthers their future development. Alongside the empowerment of women, there are economic benefits for the whole community. Skilled and educated women and girls are key to the development of countries and providing easy access to water is one step in breaking the cycle of underdevelopment. Women and children are heavily affected by waterborne illnesses due to their close proximity to often unclean water. Besides the staggering preventable deaths from waterborne illnesses, children’s education are further hindered with 443 million school days lost every year because of water related illnesses. In communities that practice open defecation, women and girls can be at threat of sexual assault as they often have to travel to nearby fields at night to gain privacy. The inclusion of women’s perspectives, opinions and experiences in planning water projects improves their usefulness and sustainability. While women often suffer the unequal division of labour, it is men who hold the majority of water rights and are generally in charge of planning and organising water projects. This is despite women holding practical knowledge about water maintenance. Therefore, a project without the involvement of women would be missing much crucial perspectives of those who hold have the biggest role in practical water management. At drop4drop we implement gender equality in our projects as women place a central role in the management and maintenance of our wells. We ensure that women have a central role in the water teams which maintain the wells to ensure sustainability for the community. In our projects, we also work with female community health workers who travel to communities speaking to women and children about the importance of good hygiene and sanitation. Women are provided with soap and children are encouraged to learn about good water management so they grow up practicing effective sanitation. The inclusion of gender in water provisions shows how women are structurally held back by poor access to water and sanitation and conversely how they can be empowered by improvements in these areas. Incorporating gender as a central feature of development ensures its effectiveness and sustainability for a more inclusive society. Women both suffer when there is poor access to water and can become central actors in insuring more gender inclusive and sustainable development.